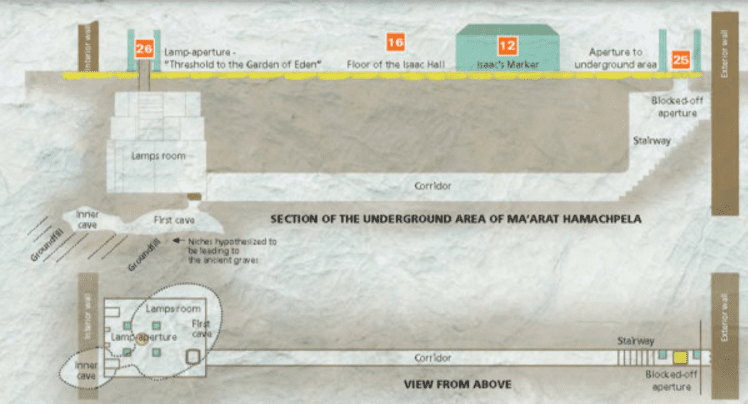 The Secret Chambers Hidden in the Cave of Patriarchs Will Astound You [PHOTOS] - Breaking Israel News | Latest News. Biblical Perspective. Thirty-five years ago, a small group of Jews set out on a difficult and dangerous mission: to prove that the Biblical account of a cave in Hebron was true. 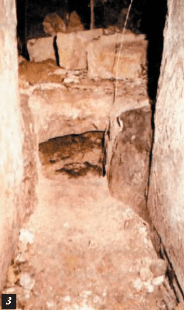 One of those men tells of what they found: a secret chamber under the site, evidence that refutes the United Nations version of history supported by most of the nations of the world. 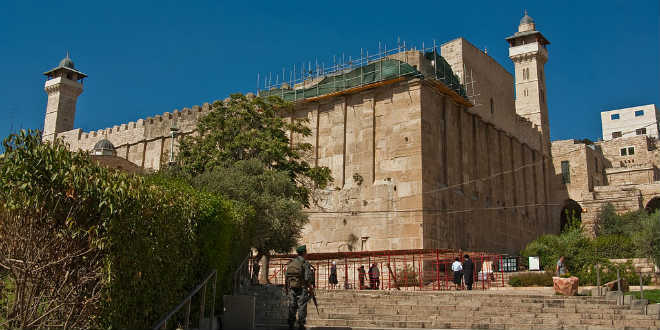 Of all the holy sites in Israel, the Machpela (Cave of the Patriarchs) in Hebron has special significance as being the oldest. A burial site for the three patriarchs and three of the matriarchs – Abraham and Sarah, Isaac and Rebecca, and Jacob and Leah – it marks the origins of all three Abrahamic religions. Dominated by a large, aboveground stone structure, visitors to Hebron are left wondering about the cave described in the Bible. A cave does exist, and even though its entrance is in plain sight, very few people have ever been inside. 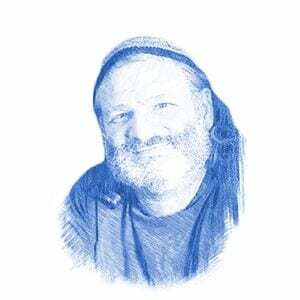 Noam Arnon, spokesman for the Jewish community in Hebron, has been studying the Machpela for decades. His passion for the site began about 35 years ago when, risking imprisonment and the ire of the Muslims, he pried open the stone covering the entrance to the burial site and ventured into the chambers underneath the building. Arnon explained his motives. 35 year ago, Jews were just beginning to resettle Hebron after a long absence following the massacre of 69 Jews in 1929. The Arabs were trying to distance them from their ancestral city and the site that lay at the heart of Judaism. The Waqf, the Muslim authority, was trying to restrict Jewish access to the site. Arnon and five friends decided to find the cave and prove its historical authenticity. But no one was permitted to explore the site. Arnon had heard rumors of a lower chamber. 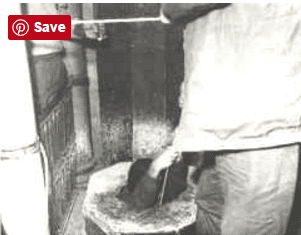 After Hebron was conquered in 1967, Moshe Dayan, then Secretary of Defense and an amateur archaeologist, lowered a young girl down a covered shaft that tradition said led to the cave. When she came back, she described a small chamber and stone steps leading back up to the hall. attempt in the month of Elul, when Jews were permitted into the hall at night in order to pray Selichot, a special service asking for forgiveness said in the days preceding Yom Kippur. In front of their eyes were revealed the stairs the young girl had described, carved into the bedrock. 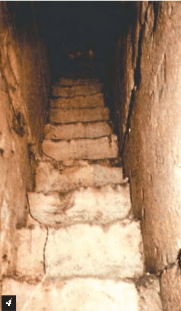 “We descended to the bottom where there was a long and narrow tunnel, sloping even further down, that opened into a chamber with a roughly tiled floor,” Arnon said. But there was still no sign of the cave as described in Genesis. The word “Machpela” comes from the root meaning ‘double’. 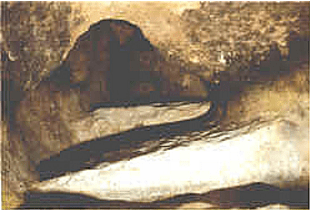 Rabbi Shlomo Yitzchaki, a prominent medieval French commentator on the Bible known by the acronym Rashi, explained that this is due to the cave being doubled. This was exactly what the group found: two caves, one behind the other. Their friends who were covering for them up above called down, warning them to come back. The prayer service was coming to an end, and in fact, they had prayed the selichot service twice in order to give them additional time to explore. In the morning, the Arabs discovered that the stone floor had been opened. The Waqf made a formal complaint to the Israeli government and the Arab residents of Hebron rioted. Arnon had taken some clay shards from the cave, which he brought to a laboratory for testing. They were found to be from the period of the First Temple. Archaeologists could not pass up this rare opportunity. Seev Jevin, the former director of the Israel Antiquities Authority (IAA), followed in the footsteps of Arnon and his intrepid companions. The IAA acknowledged that it was indeed a burial cave from the Bronze Age, which includes the age of the Patriarchs and the First Temple. This infuriated the Waqf and they intensified their complaints to the Israeli government. The Israeli government sealed the opening with concrete. As a resident of the holy city, Arnon is deeply distressed at the United Nations and UNESCO resolutions that try to refute the Jewish nature of the site, something he has seen with his own eyes. During the Ottoman rule, Jews were forbidden from visiting their holy sites. The stone structure over the cave was built by Herod over 2,000 years ago as a shrine to the Jewish patriarchs, using the same distinctive stones used to build the Western Wall, but was converted into a mosque in the seventh century.